New York Graphic Society Ltd., 1990. 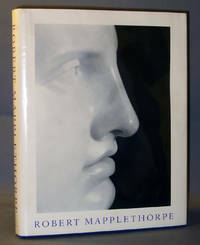 First edition, fourth printing; jacket priceclipped, rubbed/lightly soiled, sticker on rear, ~2inch tear in rear edge near top spine end; cover lightly rubbed, corners and spine ends lightly rubbed/bumped; edges lightly soiled; endpapers have minor soiling; half-title has erasures; binding tight; cover, edges, and interior intact and clean except as noted. Due to the size/weight of this item, additional shipping charges will apply on International or Expedited orders.. hardcover. Good/Good. New York: New York Graphic Society, 1988. First edition. Hardcover. Near Fine/very good. 1988. First edition. Hardcover, 216 pp. 45 color, 85 duotone illustrations. Near fine in very good dust jacket. New York and Boston, MA: Whitney Museum of American Art/ New York Graphic Society, 1990. Hardcover. Fifth printing. 216 pages. A terrific monograph with 45 color and 85 duotone illustrations that features essays by Richard Howard and Ingrid Sischy. A tight near fine copy with a remainder mark to the top of the page edges in an about very good dust jacket that as some minor edge wear and a couple of edge tears to the top of the front panel. Whitney Museum of American Art - New York Graphic Society, , 1988. Hardcover. Very Good. Note in pencil from previous owner opposite the title page. 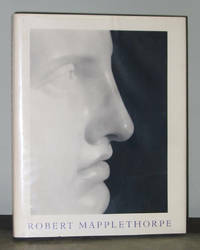 Large closed tear to top edge of dust jacket, some rubbing, edge wear, spotting on front cover, in a protective cover. Essays by Richard Howard and Ingrid Sischy. Oversize. Spotting to page edges. Published in conjunction with an exhibition. New York Graphic Society, 1988-09. Hardcover. Good. New York Graphic Society. Hardcover. 0821217283 Very Good Condition. Has some wear. Five star seller - Buy with confidence! . Very Good. New York Graphic Society, 1988. First edition. Hardcover. nf/vg+. Quarto. 216pp With 45 color, 85 duotone illustrations. A near fine copy in dust jacket. Light crease to inner front flap of dust jacket. NY: Whitney Museum of American Art / New York Graphic Society, 1988. Hardcover. Small slit to lower edge of back joint, else very good plus condition, covers bright, text clean & binding tight / very good plus dust jacket. Size: 9.5"x12", 216pp., 45 color, 85 duotone illustrations. New York: New York Graphic Society, 1988. Book. Illus. by Robert Mapplethorpe. Very Fine. Hardcover. 1st Edition... 1st.ed. 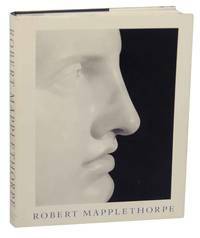 1988 , Hardcover with the dust jacket , 216 page book.Illustrated with 45 color plates and 85 duotone photos.Robert Mapplethorpe was one of the most important figures in contemporary photography . Condition: book,very fine , dj , very good with light chips and rubs , see the book at : Gibbsbooks. Size: 4to - over 9¾" - 12" tall. 1988-03-03. Good. Ships with Tracking Number! INTERNATIONAL WORLDWIDE Shipping available. May not contain Access Codes or Supplements. May be ex-library. Shipping & Handling by region. Buy with confidence, excellent customer service! New York: Whitney Museum of American Art, 1988. 2nd ptng. 4to. 216 p. Essays by Richard Howard & Ingrid Sischy. 85 duotones, 45 color plates. Fine in near fine dw. New York: Whitney Museum, 1988. First. hardcover. near fine/very good. Mapplethorpe, Robert. With essays by Richard Howard & Ingrid Sischy. 45 color plates, 85 duotone illus. 216 pages. 4to, purple cloth, d.w. (a bit edgeworn and sun darkened). New York: Whitney Museum of American Art, (1988). First Edition. A near fine copy in a very good dust wrapper. Whitney Museum of American Art, New York in association with New York Graphic Society Books, Little Brown and Company, Boston, 1988. 216 pp., 130 illustrations 45 in color. First edition. A touch of soiling to the top edge. Minor scuffing to the dustjacket cover. Foreword by Tom Armstrong. Published on the occasion of the 1988 retrospective exhibition. Selected Bibliography. List of Exhibition. . First Edition. Cloth. Near Fine/Near Fine. Whitney Museum of American Art, New York in association with New York Graphic Society Books, Little Brown and Company, Boston, 1988. 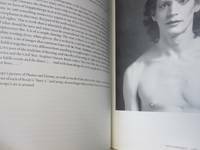 216 pp., 130 illustrations 45 in color. A one inch tear to the back of the dustjacket cover, lower left-hand corner. First edition. Foreword by Tom Armstrong. Published on the occasion of the 1988 retrospective exhibition. Selected bibliography with a list of exhibitions. . Cloth. Fine Condition/Near Fine. New York and Boston, MA: Whitney Museum of American Art/ New York Graphic Society, 1988. First edition. Hardcover. First printing. 216 pages. A terrific monograph with 45 color and 85 duotone illustrations that features essays by Richard Howard and Ingrid Sischy. 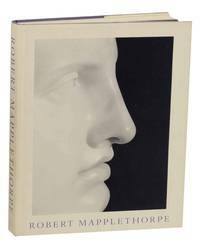 A tight and clean very near fine copy in a dust jacket that as some minor edge wear and some light scratches to the rear panel. Still, one of the better early books on this important photographer. New York Graphic Society. Hardcover. 0821217283 New Condition. . New. New York Graphic Society. Hardcover. 0821217283 Like New Condition. . Fine.